This is my first item of knitted clothing! I have mixed the colours up as we’re currently in a pink phase and after all the hard work I didn’t want to risk the ‘I don’t like it’ response! 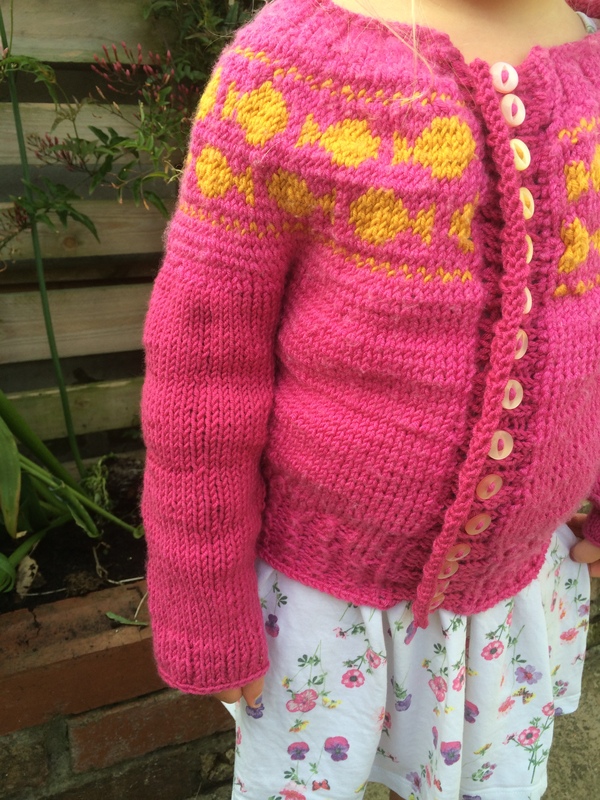 The neck line isn’t quite the same as in the picture and despite having my Knitting Guru check my work and the pattern we couldn’t see why or where I had gone wrong, but fortunately it looks great just the way it is… well I think so! For this project I used Debbie Bliss Baby Cashmerino and purchased my first set of circular needles. 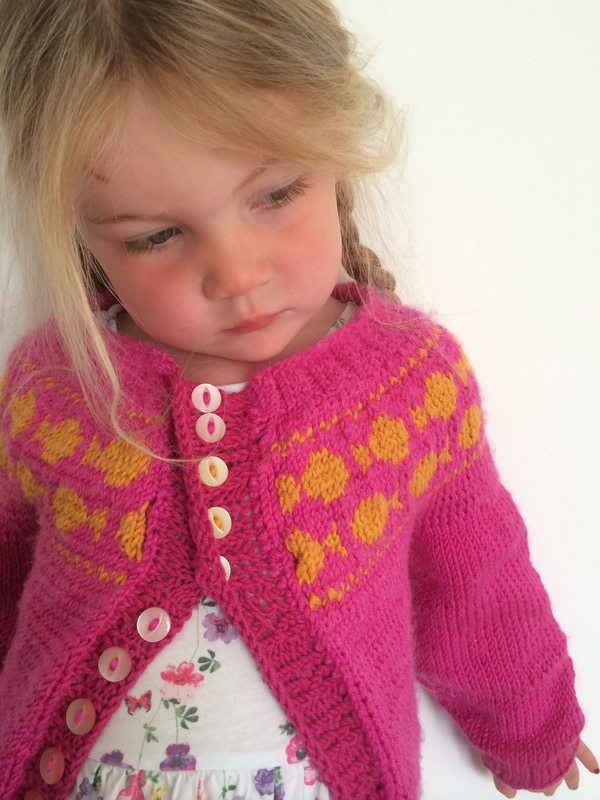 Other firsts for this project include colour changing, ribbing, buttonholes and sleeves; so lots of new skills. 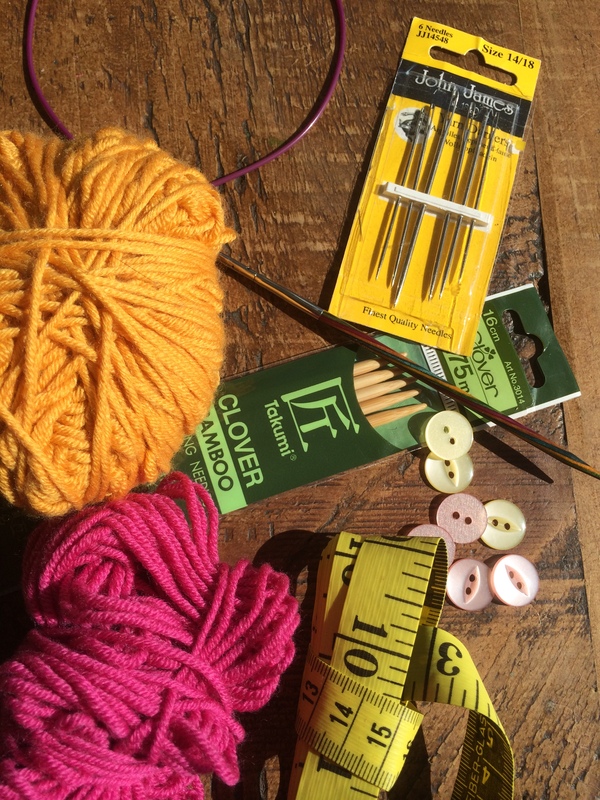 I can’t wait to start my next challenge… Tin Can Knits’ Gramps. Next Blogtacular 2015… opening a door to a whole new world!